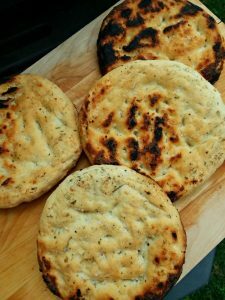 Grilling mini Chebe Focaccia Bread is so easy, so quick, and so delicious! Follow the recipe below, or top the with your favorites. 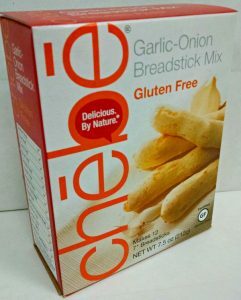 Just brush them with olive oil, sprinkle with a little coarse sea salt, and drop your tops! In a bowl, blend first six ingredients, then add shrimp. Coat the shrimp well. Cover the bowl and let rest in the refrigerator for one or two hours. 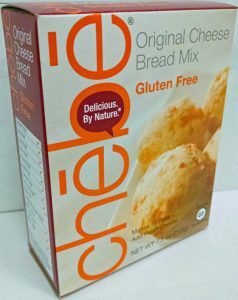 In a bowl and with a fork, blend the Chebe mix with the cheese. Continue mixing in the milk, eggs, and oil. 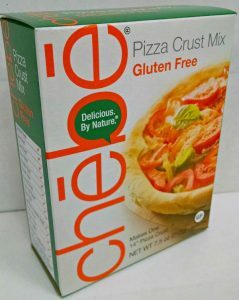 Mix for a couple of minutes, then finish off by kneading with your hands until the dough is smooth and well blended. 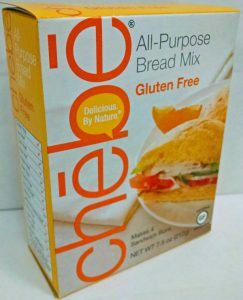 Divide into four equal pieces. Flatten each piece to about 4” to 5” in diameter. With the tips of your fingers, make indentations into the dough. Brush with olive oil. Set aside. 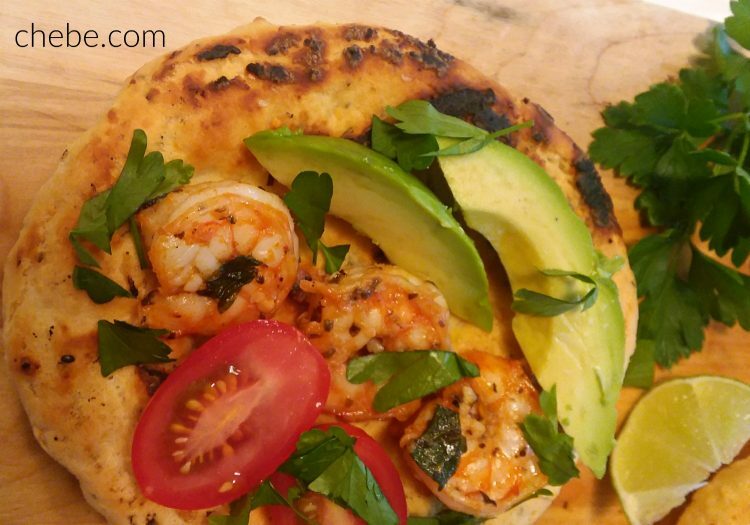 Place marinated shrimp on a sheet of aluminum foil. Wrap the foil over the top, sealing the shrimp inside. Grill for 5 to 6 minutes or until done. 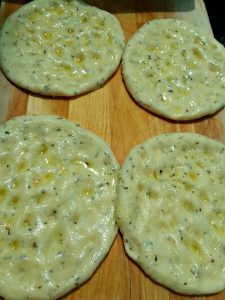 With a spatula, place the Focaccia dough on the grill. Close the lid for about 5 minutes. Check for doneness on the bottom side. Flip when browned. Grill for a few more minutes until browned on both sides. 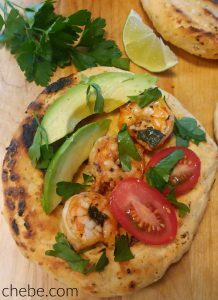 When the bread and the shrimp are done, top the Focaccia with the shrimp, avocado slices and tomatoes. The heat from grills varies a lot. Be vigilant so as not to burn the dough.